Exploded Parts Views of Venus Tsar, Chieftain, Imperator, Shan Yu, Gao Tzu, Huang-Ti, and Senator Spaceships! Our latest Venus Forces Kickstarter update is of exploded parts view graphics we just added to the Kickstarter campaign page. The first attached graphic includes the Tsar, Chieftain, and Imperator exploded parts views. Second graphic includes the Shan Yu, Gao Tzu, Huang-Ti, and Senator ships. You can visit the Kickstarter at the link below and pledge for these great high quality resin 1/4000 scale spaceship miniatures today. Read more about Exploded Parts Views of Venus Tsar, Chieftain, Imperator, Shan Yu, Gao Tzu, Huang-Ti, and Senator Spaceships! 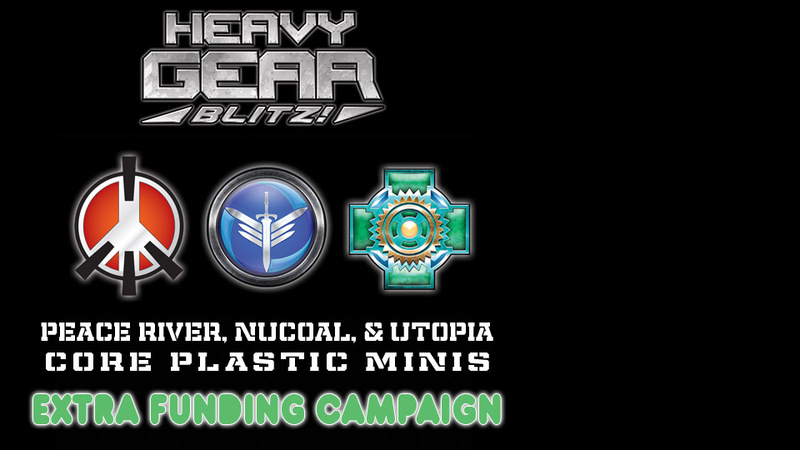 Venus Forces Kickstarter Update: Stretch Goal 01 Unlocked and Stretch Goals 03 and 04 Revealed! Pledges are now over $4,500.00 CAD and Stretch Goal 01 has been unlocked adding 3x Massdriver weapon pewter parts to the Satrap Carrier. Thank you to all our backers, we still have 22 days to go on the Kickstarter with a lots more Stretch Goals to be revealed and unlocked. Read more about Venus Forces Kickstarter Update: Stretch Goal 01 Unlocked and Stretch Goals 03 and 04 Revealed! Congratulations Golden Gear 2018 Winners! Read more about Congratulations Golden Gear 2018 Winners! Venus Kickstarter Update: Satrap Resin Miniature Preview! Its now 1 day into the Venus Forces Kickstarter with $2,632.00 CAD pledged (65% funded) of our $4,000.00 initial funding goal. A Big Thank You to all who've pledged so far and as a reward we have our first update. Read more about Venus Kickstarter Update: Satrap Resin Miniature Preview! Jovian Wars Venus Forces Kickstarter is now Live! 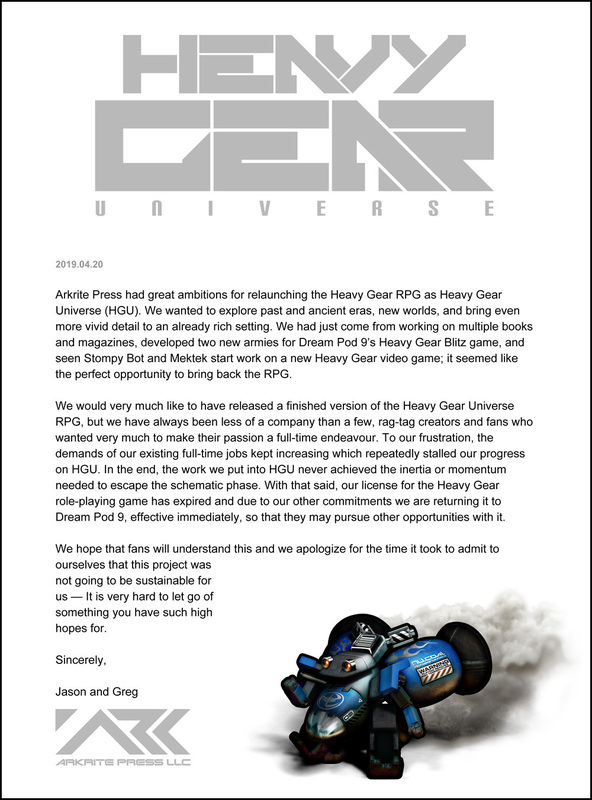 Dream Pod 9's latest Jovian Wars Tabletop Wargame Kickstarter. This time we are making new spaceship, exo-armor, and fighter/bomber squad miniatures for the game's Venus faction. The Kickstarter is live now and will run until the evening of Sunday, December 2nd, 2018. 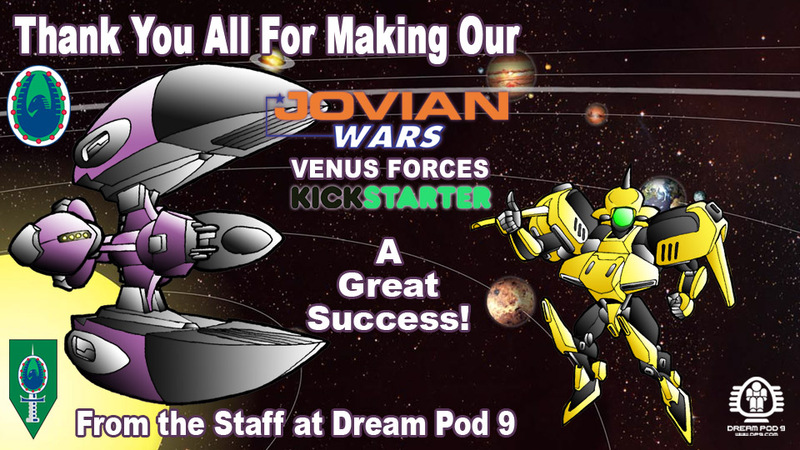 Read more about Jovian Wars Venus Forces Kickstarter is now Live! Jovian Wars Venus Forces Kickstarter Launching Today, Monday Nov. 5th 2018, at 7:30 pm EST! We have the Venus Forces Kickstarter already to launch now, the short Kickstarter video and campaign page graphics are done. We'll hit the launch button this evening around 7:30 pm EST when more people are home. The Venus Forces Kickstarter will run until Sunday night December 2nd at 8 pm EST. Read more about Jovian Wars Venus Forces Kickstarter Launching Today, Monday Nov. 5th 2018, at 7:30 pm EST!